Anoob has 20 years’ experience of working in Anaesthesia in the NHS. He has a specialist interest in Regional Anaesthesia and Acute Pain and has gained the Diploma in Regional Anaesthesia and Acute Pain Management awarded by the European professional body, ESRA. Anoob continues to work in the NHS alongside practicing as a Medical Aesthetic Consultant. 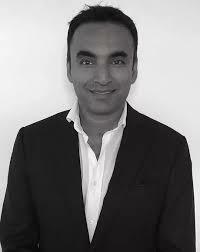 He has obtained the coveted Diploma in Medical Aesthetics from the American Academy of Aesthetic Medicine and has trained at Harley Street in PDO Thread Lifts and with Professor Bob Khanna in Advanced Botox and Dermal Fillers. Anoob offers a range of treatments including: Mesotherapy; PDO Threads; Chemical Peels; Fat Reduction Therapy and Hair Loss treatments. His personalised, results-oriented approach based on quality service and treatments has attracted a loyal client base. Anoob offers a free consultation so that clients can meet and talk through their needs and the best choices of treatments for them, in a relaxed environment. We use Botox ( Allergan ) for our anti-wrinkle treatments. All our clients will have an initial consultation with the Doctor in order to tailor for their requirements. We also do a two week follow up appointment to ensure satisfaction and review. This treatment has very little downtime and is individually tailored to each person. Clients can rest assured that our beautiful, clean and private facilities will ensure their highest level of comfort. To learn more about how this service can be personalized for your unique needs, feel free to reach out today.